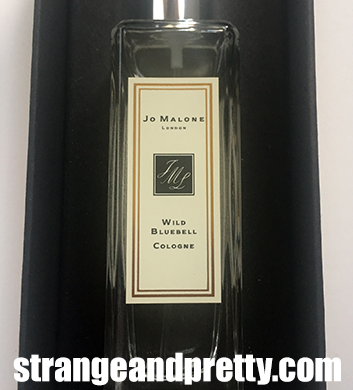 Strange And Pretty: I've Broken My Jo Malone Virginity. I've Broken My Jo Malone Virginity. 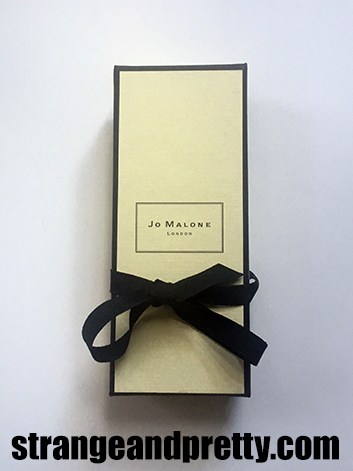 So I finally joined the real beauty bloggers club and got my hands on a fragrance from Jo Malone. When I say I'm ecstatic, it's an understatement. And I'm not just saying that because it's a *~luxury~* brand, I'm saying that because the fragrance and the actual experience while choosing the fragrance was amazing to me. Just look at that beautiful packaging. And that's not even including the bag they put it is, which is also wrapped up nice and fabulous. Of course I went smell-crazy in the store. I smelled the coveted Wood Sage and Sea Salt scent, as and I predicted, I wasn't a fan. I knew I wouldn't like that combination of scents right away. I did, however, like Earl Grey And Cucumber, English Pear And Freesia, and one other scent that I just cannot remember. I was surrounded by so many glorious scents that I didn't know what to do with myself. Eventually, I randomly picked up Wild Bluebell and said "I want this one". It didn't match any of the other scents I was interested in, but it smelled good and I wanted it. It's a pretty floral scent that doesn't have an age restriction on it, and isn't overwhelming. I'm happy with this one. 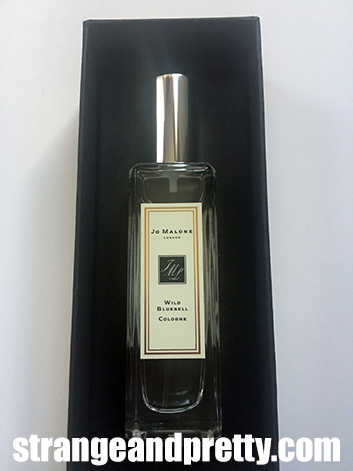 This will certainly not be the last Jo Malone cologne I buy. I plan on collecting many. They're all so wonderful.